Rustic Wilderness Cottage Retreat, with 350 acres, totally off-grid, and with scenic surrounding nature and lakefront. The cabin can accommodate up to 5 persons, and are fully furnished, with woodstove-firewood,/solar system/portable generators. Excellent fishing and hunting, atv'ing and sledding, or just experiencing a unique off-grid experience. 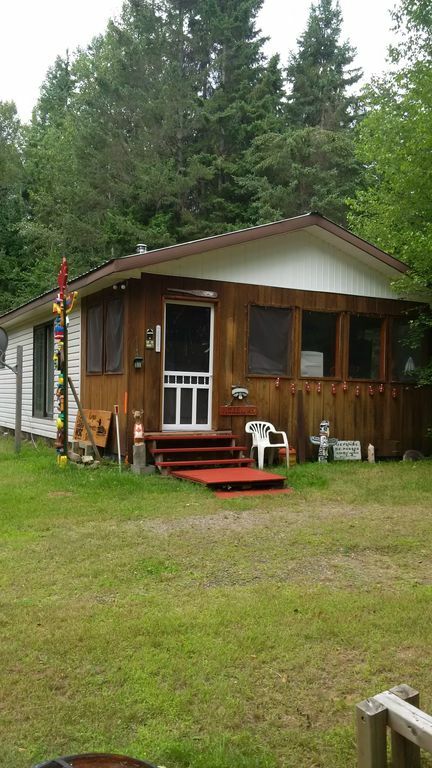 Nearby is the Beryl Ruby Mine, the Madawaska River, and scenic views at Foymount. Nearest towns are Eganville, Barry's Bay, and Bancroft.